Our membership service provides US asset management professionals with vital and actionable intelligence across all parts of the modern fund complex. Designed with a focus on clarity and simplicity, we allow members to prioritize their specific areas of professional interest whilst also keeping abreast of key developments that are setting the agenda across the sector. Interviews with leading sales and distribution professionals offering competitor intelligence on the tactics, team structures and priorities of the sector’s biggest names. Discover actionable intelligence on investment approaches guiding key allocators, their decision-making processes and how evolving technology, regulations and market trends are shaping the distribution landscape. Actionable intelligence on the investment approaches being taken by key allocators including wirehouses, large RIAs, DCIOs, regional BDs, Tamps and ETF strategists. Informed analysis of evolving trends in the distribution space, driven by both the demands of regulators and investors, and the impact these will have on the sales strategy of fund complexes. Help your compliance teams better navigate exams and avoid costly deficiencies and enforcement action with up-to-date intelligence and analysis on the latest rules, legislation and regulatory priorities shaping the industry. 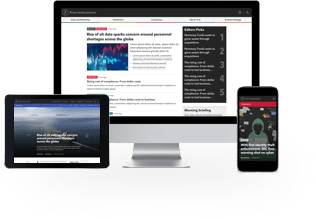 Guide strategic decision-making with in-depth coverage of wide-ranging industry trends, developing opportunities, business threats, CEO interviews and coverage of key M&A activity to give you the full picture of an evolving sector. The informed views of respected independent consultants, analysts and other industry experts on the threats and opportunities facing the sector. Gain exclusive insight into the HNW, UHNW and family-office space, including manager selection processes, as evolving business models, advancing technology and increasing professionalism reshape these valuable segments. Our closed-door, off-the-record environment is peer-led, and content driven. A range of events includes everything from corporate summits and regional conferences to more intimate breakfast briefings, dinners and workshops, allowing all fund professionals the opportunity to update their knowledge, meet with peers and build their business contacts. Covering the latest regulatory, market and litigation developments that board directors need to stay on top of, Fund Directions offers market-leading insights on the governance priorities of independent fund directors. Coverage and events focus on the increasing regulatory and legal demands being placed fund boards and how leading directors are tackling a range of important governance issues.